Our food reflects our rural community with larger portions of good homely traditional meals and snacks. We consider our pricing to be fair and quite affordalbe. Bar meals on offer range from a basket of hot chips, a toasted sandwich or divine panini through to a mixed grill with bacon, sausages, steak, salad, chips and more. The restaurant menu offers succulent lamb shanks with traditional mashed spuds and rich gravy, tender steak with all the tempting side dishes through to a light serving of flavoursome nachos. We feel we cater to meet everyone's tastes. 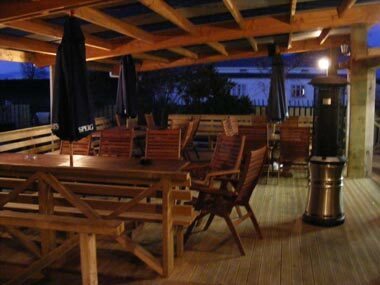 Diners have a choice to eat within the bar, out on our covered deck or in our lovely restaurant. We use fresh produce in all of our meals and our salads are lovingly dressed in a familiar home made dressing. We can happily cater to a family of 4 or a party of 150, Anniversaries, birthdays, clubs and even children's parties! Previous years we have catered every thursday night to the Oroua rugby boys after training, Pauline will cook a hearty home cooked meal for the boys. 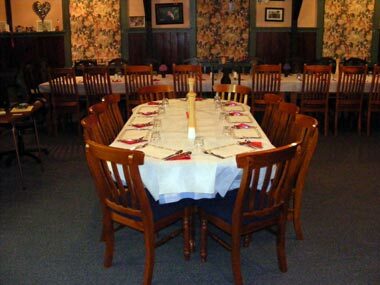 The Local hunting club use our service every year in which we cater for over one hundred people. Contact us today to make a dinner reservation.